Turkish President Recep Tayyip Erodgan will visit St. Petersburg on August 9, Turkish Deputy Prime Minister Mehmet Sismek said on July 26. "Mr. Ambassador informed us that our president confirmed that he will arrive in St. Petersburg on August 9. Today we are here in order to normalize the situation and our relations that were disrupted on 24 November 2015 as soon as possible and at an accelerated rate," Sismek said at the meeting with Russian Deputy Prime Minister Arkady Dvorkovich. Dvorkovich also confirmed that the leaders of Russia and Turkey plan to meet in the first half of August. "We are meeting on request of our leaders after the talks between the presidents of Russia and Turkey. We should decide on the agenda of the meeting of our leaders planned for the first half of August," the Russian deputy prime minister said. On June 29, the presidents had a telephone conversation - first in the past seven months, where they agreed to consider a meeting. After the conversation, Putin ordered the government to begin discussions with Ankara for resuming cooperation in trade and other spheres. The Turkish Air Force’s F-16 fighter on November 24, 2015 shot down a Russian Sukhoi Su-24M bomber, involved in Russia's antiterrorism operation in Syria, that Ankara claimed violated the country’s airspace on the border with Syria. Russia’s Defense Ministry said the Su-24M was above Syrian territory and "there was no violation of Turkey’s airspace." Pilot Oleg Peshkov was killed by militants from the ground after ejecting, the second pilot was rescued and taken to the Russian base. The incident resulted in the severing of nearly all trade and economic ties between the two countries. Ankara refused to apologize for the downed jet and death of the pilot. Moscow put the blame for the incident on the Turkish authorities. 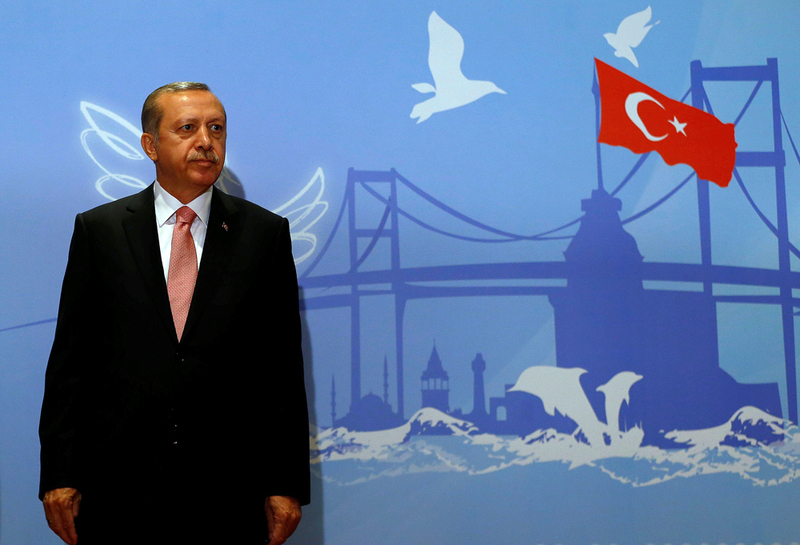 Read more: How realistic is Erdogan's pivot to Moscow and Tehran?